Leverage the full power of Avid Media Composer with this essential guide from an Avid guru. Master timesaving tricks and techniques that utilize the latest Media Composer features and state-of-the-art workflows. Learn the secrets of the postproduction professionals from box office blockbusters like Harry Potter, I am Legend, Dark Shadows, Men in Black II, Charlie’s Angels, 42, and The Last of the Mohicans, as well as primetime hits like SMASH, Big Bang Theory, Weeds, The Mindy Project, and MythBusters. 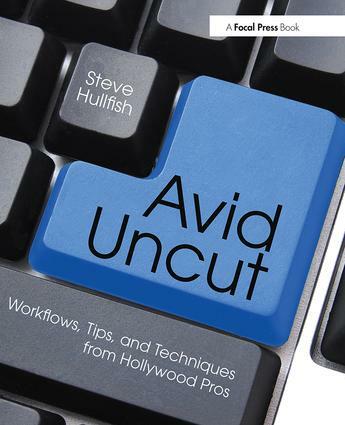 Also featured are extensive tips dedicated to helping FCP editors switch over to Avid, as well as a companion website (www.routledge.com/cw/hullfish) loaded with video tutorials of the techniques discussed in the book and project files, including RED and ARRI Alexa footage, that turn Avid Uncut into an invaluable, hands-on workshop!